I never understood this colour. I would see it in stores and I would think "who would want that dull grey purple. I don't get why it's in the permanent collection." And I would pass right over it. Then last summer I visited my friend Ruve who had these GORGEOUS lilac nails. "WHAT COLOUR ARE YOU WEARING?!" And suddenly I got it. I got why it was in the permanent collection and why it's a classic Essie colour. Because it's freakin' beautiful. It is so much greater applied to the nails than what it appears in the bottle. 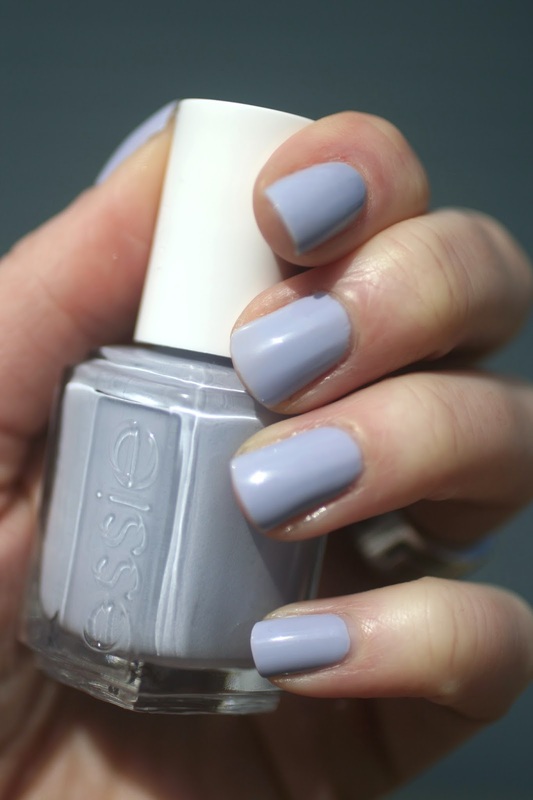 Lilacism is a very greyed out pale lilac with a lot of blue undertones. In dark light it can look blue, but that just adds to it's charm. I think it would be very wearable on any skin tone. Both my friend and I have pale skin with pink undertones and it looks beautiful on us, so pale girls can rock it too! The formula is decent for a pastel. Pastels are generally patchy, which this can be if you try to put it on in thin coats. I cannot get my coats even if I do thin coats and the polish tends to drag and become bumpy, uneven and patchy. It you get just a bit more polish on your brush and do slightly thicker coats it goes on much nicer and I can get away with two coats (instead of 3). I would suggest wearing a good top coat with this polish. While the formula is okay for self-leveling, a top coat just smooths out any imperfections from application and makes it look shiny and perfect. My number one favourite top coat is Essie's Good to Go. It will dry your polish fast but also make your mani super shiny and glassy looking. 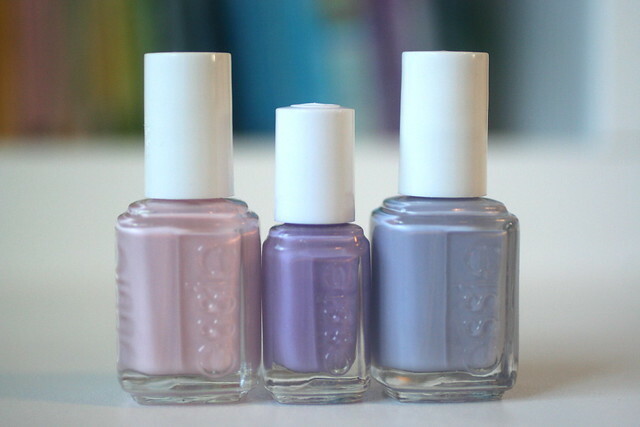 Just for comparison, I pulled out some other lavender/lilac Essie colours to show where Lilacism falls on the spectrum. Left to right: Go Ginza, Full Steam Ahead, and Lilacism. I always think of Essie's Go Ginza as a pale lavender with pink undertones, yet in this lineup it looks straight up pink. Full Steam Ahead is a true medium lilac and you can see the grey/blue tones in Lilacism very clearly next to it. This colour should be available wherever you buy Essie nail polish since it is part of the permanent collection. Thanks Ruve for introducing me to such a beautiful Essie colour! Lilacism - you are my new favourite. *P.S. If you've ever seen a bottle of blue coloured Lilacism and purple Lilacism and wondered "what the heck?" go check out this post!